A desire to improve the working conditions of women is not a criticism of the stay-at-home model. There are women who cannot stay at home. Full stop. Last week I wrote about the very real gender wage gap and the fact that it is almost 10 percent higher in Utah than anywhere else in the nation. I surmised that Utah’s gap is higher because of the predilection of members of The Church of Jesus Christ of Latter-day Saints to favor and promote a mom-at-home lifestyle. Some readers felt that I was blaming the gap on stay-at-home moms, when in fact I was talking about the paradigm itself. 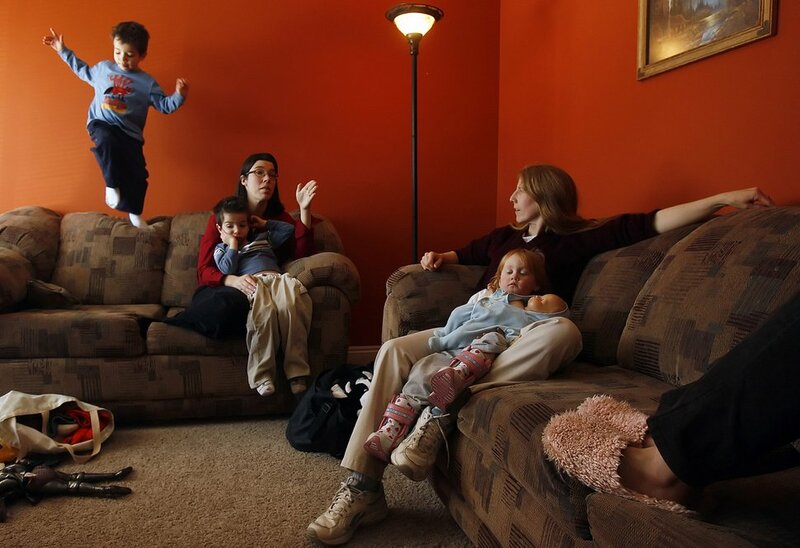 Chris Detrick | Salt Lake Tribune Matthew Hulse, 5, jumps off of the couch while his mom Laura holds her other son Alexander, while talking with Lauren Carlson and her daughter Annan, 2, of Holladay on January 12, 2006. I have been, but am not now, a stay-at-home mom. Because I grew up LDS, I can’t help but feel guilt because I now work. While of course my writings are drenched with the guilt and self-justification of my own 42 years, I am not convinced those shortcomings condemn the argument irreparably. A desire to improve the working conditions of women is not a criticism of the stay-at-home model. Because there are women who cannot stay at home. Full stop. There are also women who do not want to stay at home. And that’s OK, too. For many women, staying home was taught so fervently that many women couldn’t even imagine another possibility. My ex-husband used to tell me that we got along so much better during the periods of our marriage when I worked. I could see what he meant, but I hated the truth of it. Mostly because I hated the idea that I wasn’t happy at home. My upbringing, my religious training, had taught me that it had to be either/or. It doesn’t. It can be both. For many women, it has to be both. Last week I wrote about what employers can do to help narrow the wage gap. This week I’d like to examine what we can do to facilitate a more accommodating system. 1. Pay disparity. Pay discrimination is still the most egregious part of the wage gap — paying men more for the same job who have the same level of education and the same amount of experience. It happens. One friend shared frustrations with employers who use past wages as a benchmark for starting wages. Women, you are not required to disclose previous wages just because an employer asks. Instead, tell them your previous employer did not pay you what you are worth and propose a fair wage. Remember that it’s a negotiation, so start high. Much higher than you think you’re worth. Because you’re likely undervaluing your own worth. Because that’s what women do. There is no question that a woman who graduated the same year as a man but took time off to raise children will necessarily have less experience than the man. But experience does not always equate to skill and effectiveness. Seniority is important, but so is merit. Women need to actively negotiate salaries, request compensation for working unpopular schedules and be more eager to claim credit. Illustrate your merits and ability to get the job done. Men, start looking for implicit biases that show themselves in ways you don’t recognize. Do you interrupt women in business settings? Do you leave women out of networking activities? Do you accommodate women who leave early for a child’s event the same way you accommodate a man for coaching his kid’s soccer team? Actively recruit and train women for leadership and management positions. 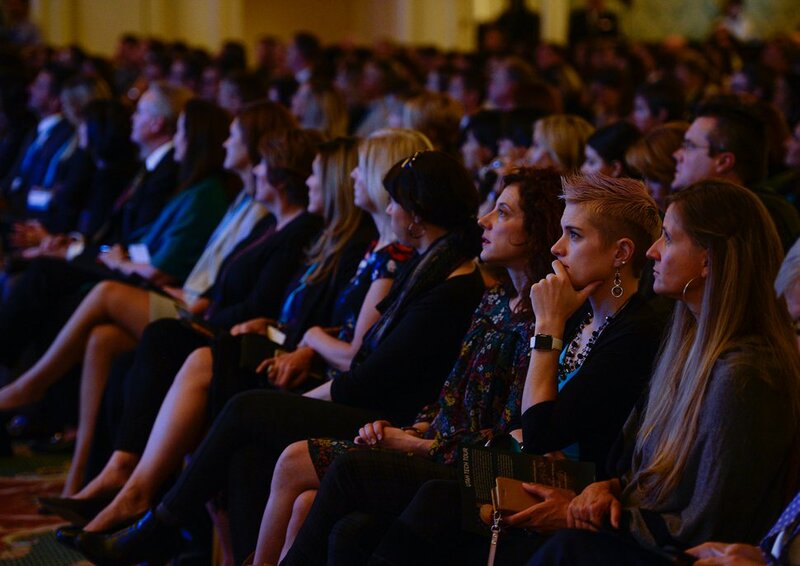 (Francisco Kjolseth | The Salt Lake Tribune) People listen as Oracle CEO Safra Katz joins the Utah Tech Tour as the featured guest by the Women's Technology Council during the event at the Grand America Hotel on Friday, Oct. 27, 2017. A key focus of the discussion was helping Utah tech leaders advance their goal of increasing diversity in Utah companies and helping facilitate more leadership opportunities for women. Women who work and still maintain full responsibility for household management bear more than their share of the load. Spouses should be sharing household duties. And it’s about more than just physical labor. The mental fatigue from planning every doctor appointment and organizing every meal and signing every homework calendar adds up. Both spouses should be actively engaged in home life — not “helping” the other spouse or “babysitting” their own kids. Share the load — be a family. Both men and women should plan for childcare. Affordable, quality childcare is almost impossible to find. Some women who would like to work cannot because of the lack of affordable childcare. Plan for this together, and don't assume one partner will always be the backup without talking about it. As I said last week, 100 years ago women didn’t work. Things change. Generations grow up with different norms. LDS women before me grew up under the “threat” of the ERA. I grew up with a stay-at-home role model who probably would have loved an outside job. My daughters are growing up with a working mom. And it doesn’t mean the disintegration of the family. It’s just different. Teach your daughters to finish degrees, go to grad school and prepare to work so they can choose what they eventually want to do. Keep the options open. 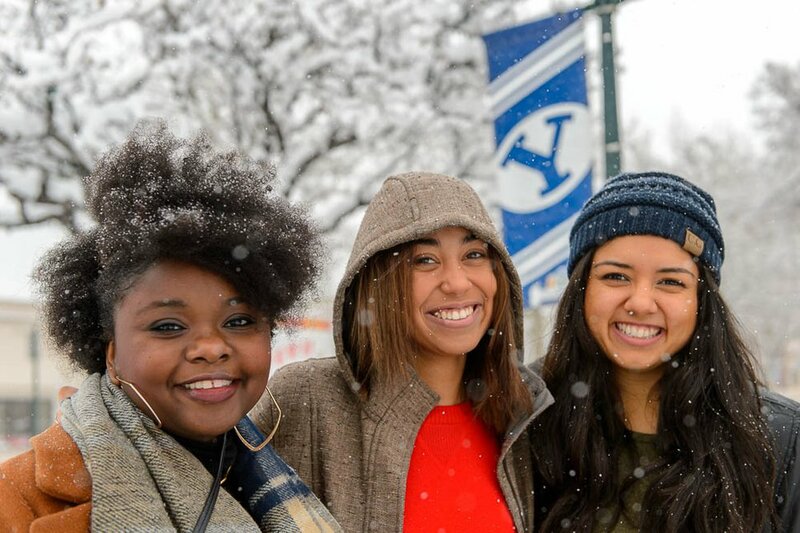 (Trent Nelson | The Salt Lake Tribune) Belgica Alvarez, Tinesha Zandamela, and Breasha Morris are members of Brigham Young University's Women of Color club on the Provo campus, which students have called "empowering" and "impactful." Zandamela is the club's founder. Saturday January 20, 2018. Teach your sons to work at home, value their wives and expect a partnership. Whether your daughter or wife will want to stay home or not, whether you will provide for her or perhaps widow her, whether you will be a stay-at-home dad, we just don’t know what choices we’ll be forced to make. It is time to reimagine our workplaces, our homes, our families and our communities. Not because the downfall of society has brought a de-emphasis on the family, but because an emphasis on the family requires that women be heard and respected, for their marriages, their children and themselves. 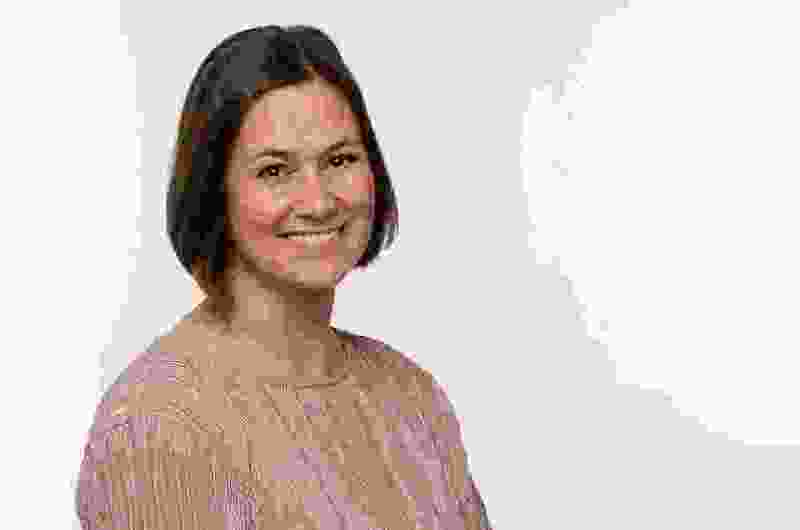 Michelle Quist is an editorial writer for the Salt Lake Tribune whose kids are going to grow up with problems even if she doesn't work.